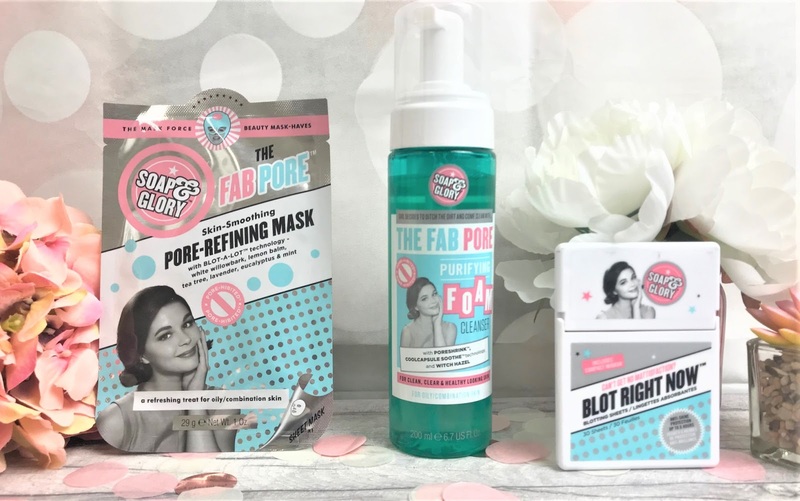 Pores are one of my biggest bug bares when it comes to my skin. They're not huge, they don't produce tonnes of oil, but they are there and to me they are pretty noticeable, even with makeup on. This month sees the release of Soap & Glory's brand new product, the Blot Right Now Blotting Sheets, and along with them, Soap & Glory also sent me a couple of other products perfect for reducing those pesky pores. 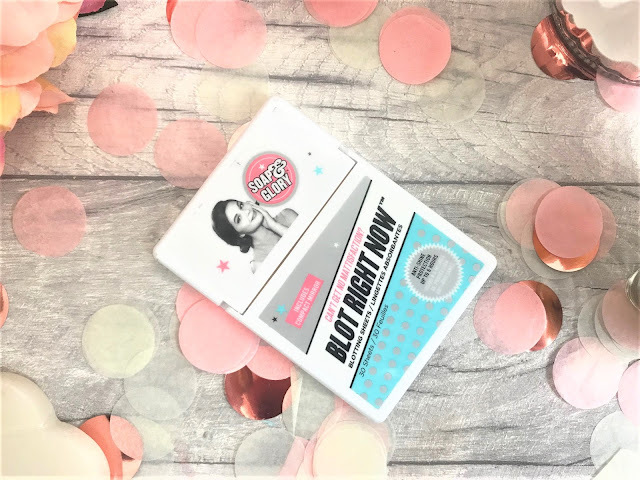 We will start with the star of the show, the Soap & Glory Blot Right Now Blotting Sheets (£4.00). These blotting sheets come in a slimline case, making them the perfect handbag accessory. 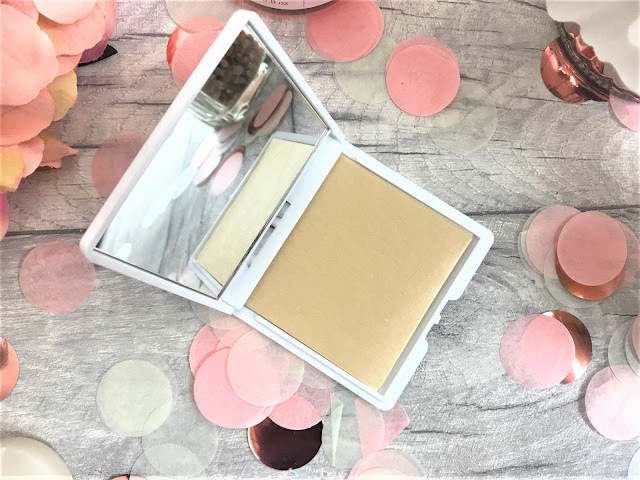 As you open up the compact, there is a section which allows you to take a blotting sheet easily, as well as a mirror on the inside of the lid for on-the-go de-blotting. Each compact contains 30 blotting sheets, and these powder-free sheets are suitable for all skin tones. Blot Right Now are the perfect quick fix solution to blot away any oiliness on the skin, whilst keeping makeup intact and offering up to six hours protection. The sheets themselves are large enough to use on your entire T-Zone and cheek area, although I wouldn't recommend looking too closely once you have used them as obviously the sheet shows up all the oil which has been on your face. Delicious. Or not. 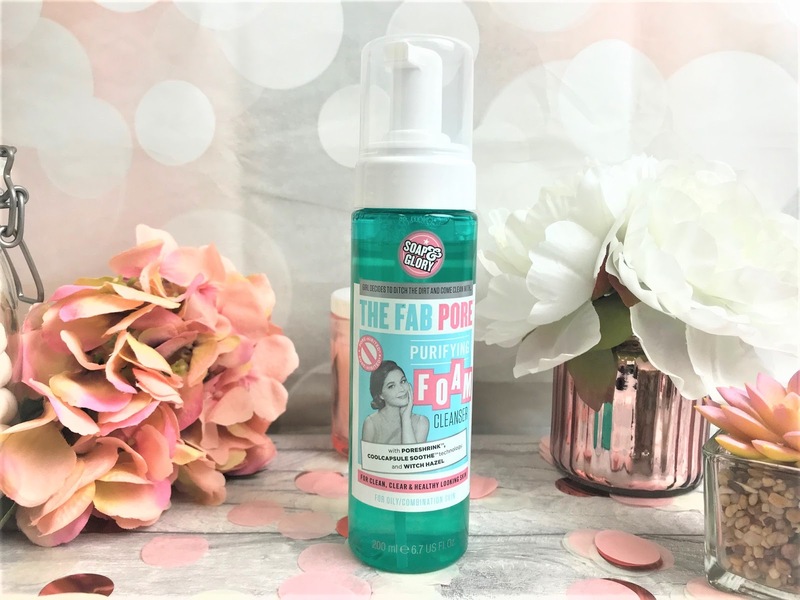 One of the other products the brand also sent me is the Soap & Glory The Fab Pore Purifying Foam Cleanser (£8.00 for 200ml). This is formulated using Bisabolol which is recognised for its soothing and calming characteristics and is recommended for oily to combination skin. You simply push down on the applicator which releases the foam, and then massage into wet skin, rinse and pat dry. It also contains witch hazel, which gives the skin a very cooling, soothing effect so if you suffer from redness like I do, this works wonders at calming that down. There is a lovely, fresh fragrance which doesn't irritate my sensitivity either and it leaves my skin feeling squeaky clean whilst also reducing the appearance of my pores. Perfection! I find sheet masks so addictive, and I use at least 2-3 every week, because they are just so quick and easy to use. Soap & Glory have a little collection of sheet masks and they also included the The Fab Pore Pore-Refining Mask (£4.00) with my other goodies. Again, this is targeted to oily and combination skins, to give a shine-free, matte complexion. Featuring wonder ingredients such as White Willow Bark, Cassia, Lavender, Tea Tree, Lemon Balm, Eucalyptus and Mint, this mask will draw out any impurities in the skin, leaving your skin looking and feeling super cleansed. Just like the Foam Cleanser, my skin feels super fresh and soothed after using this mask, which will be lovely in the warmer months after a day in the sunshine (hopefully!). 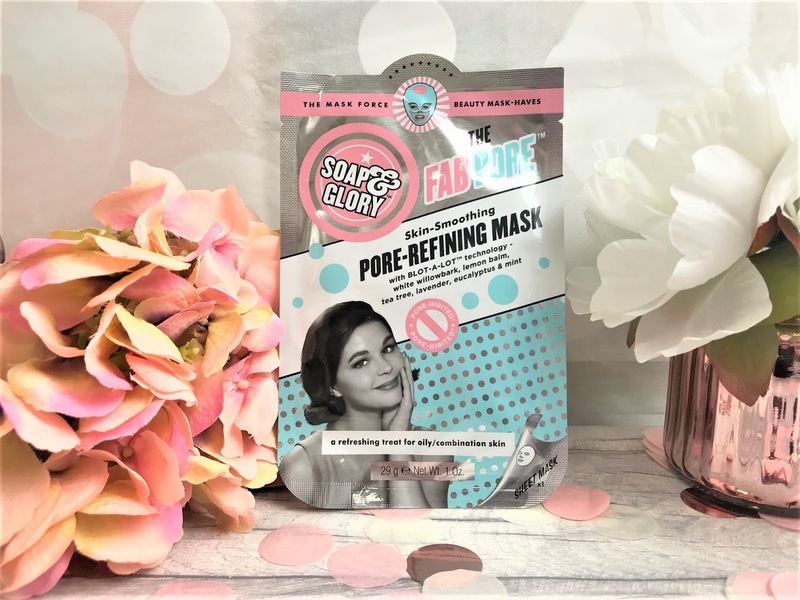 You simply apply the sheet mask onto dry skin, leave it on for 15-20 minutes - I tend to apply mine whilst I am having a nice relaxing bath, and then remove and discard, massaging in any excess product. You can find these Soap & Glory goodies and more in-store and online at Boots here.